MassBayColony is a Legacy Library. Legacy libraries are the personal libraries of famous readers, entered by LibraryThing members from the Legacy Libraries group. » Massachusetts Bay Colony's catalog. » Massachusetts Bay Colony's legacy profile. MassBayColony is also an author. 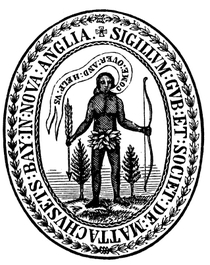 About meThis library was sent along with the 400 Massachusetts Bay Colony settlers who left England in April, 1629 and settled at Salem. About my libraryThe books in this collection, documented in the records of the Massachusetts Bay Company, were given in part by Company "adventurer" (investor) William Backhouse (~1593-1662), described as a "renowned chymist, Rosicrucian, and a great encourager of those that studied chymistry and astrology, especially Elias Ashmole, whom he adopted as his son." The remainder of the books were purchased by Rev. Samuel Skelton (1593-1634), a minister who came with the fleet to Salem and preached there until his death. The eight books given by Backhouse are not listed with a monetary value, but the 54 purchased by Skelton are assigned prices. The individual prices are noted in Comments for each book; in total they come to £3-3-6 for the first section; £3-15 for the second; and £3-10-4 for the third. The books are believed to have been shipped aboard the George Bonaventure and housed in John Endicott's house at Salem. George Littlefield then speculated that they would have been removed to John Winthrop's house at Charlestown when he took over as governor, and eventually moved to the Town House at Boston. Littlefield surmised that the books were destroyed in the 1711 fire. He believed that this library was that referred to in a 1638 report by Rev. Edmund Browne to an English patron, but Browne is probably discussing the college library at Harvard instead, as Jesse Hauk Shera notes in his Foundations of the Public Library. Given their religious nature these books, at least those purchased by Skelton, were almost certainly designed for church use. The extra catechisms ("2 dussen & ten") may have been intended for use in Indian conversions or for circulation among the colonists. Unfortunately the records are unclear; we will never know how or if this library was put to use, or its ultimate disposition.